The Very Best | Hello Delicious! Okay I can’t keep this up. APRIL FOOLS!! 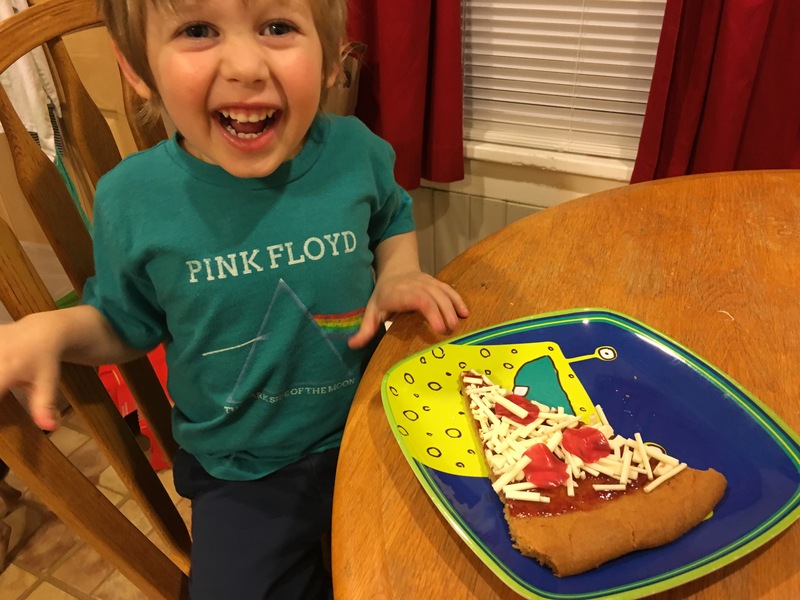 You too can fool your kiddos in the future with this silly pizza. 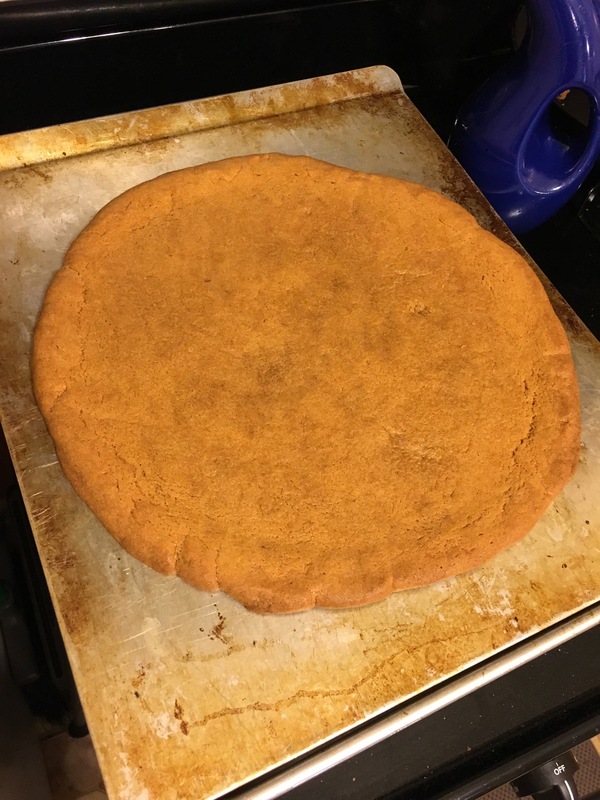 Press out your cookie dough into a large circle on a sheet of parchment paper. 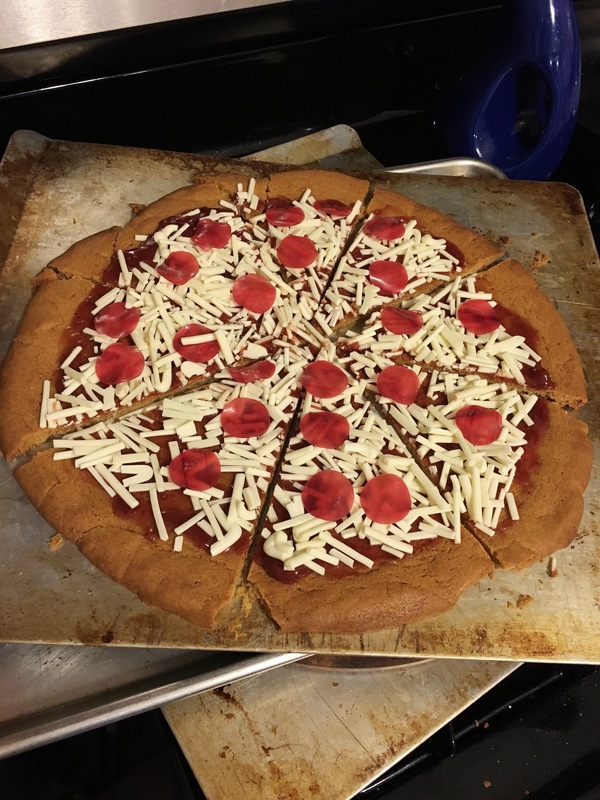 It works even better if you have a circular pizza pan, but I don’t. Bake at 350 for 16-20 minutes. Set aside to cool. 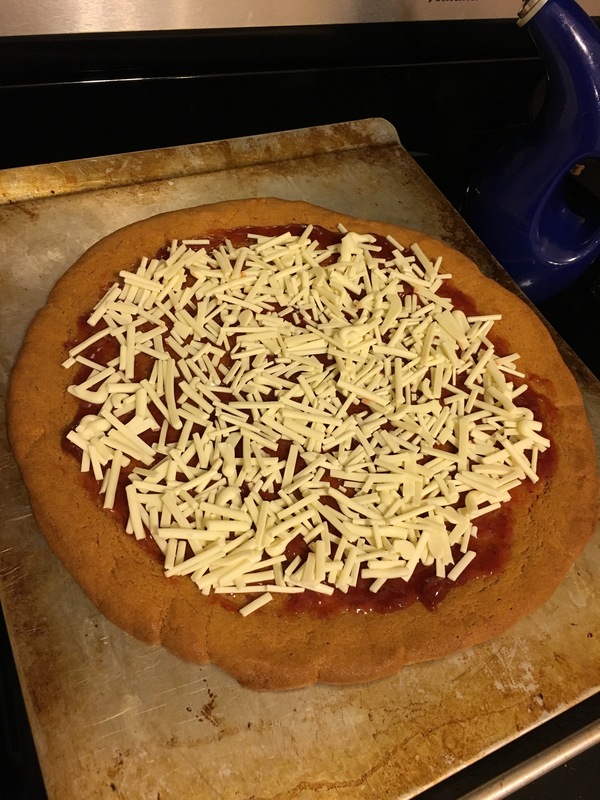 Honest moment – I left mine in the oven a few minutes too long…that’s why it’s that lovely darker brown color. Don’t worry – the final product is very forgiving. Lay a long piece of parchment on the counter or your table. 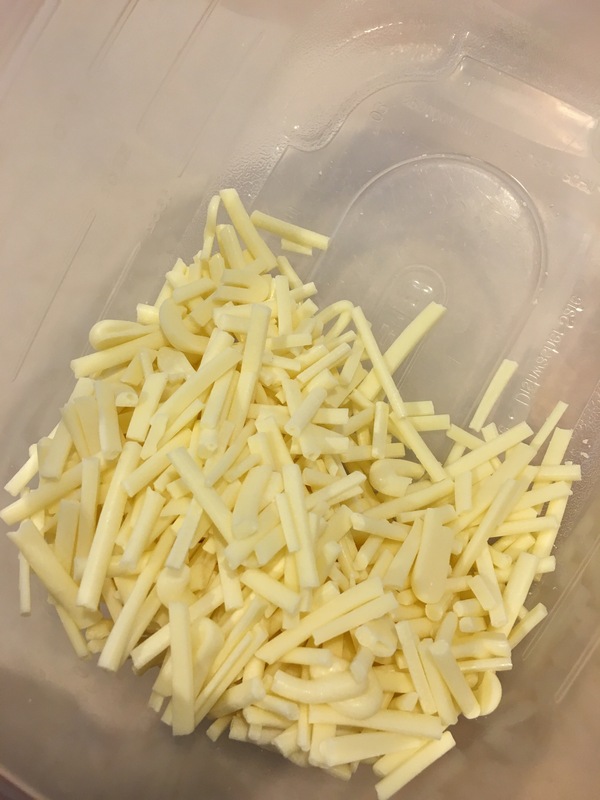 Place the white chocolate chips in the microwave. Heat for 1 minute 30 seconds on full power. Stir, and then return to the microwave for 30 second intervals stirring between until smooth. Place in a zip lock baggy and snip off a corner. 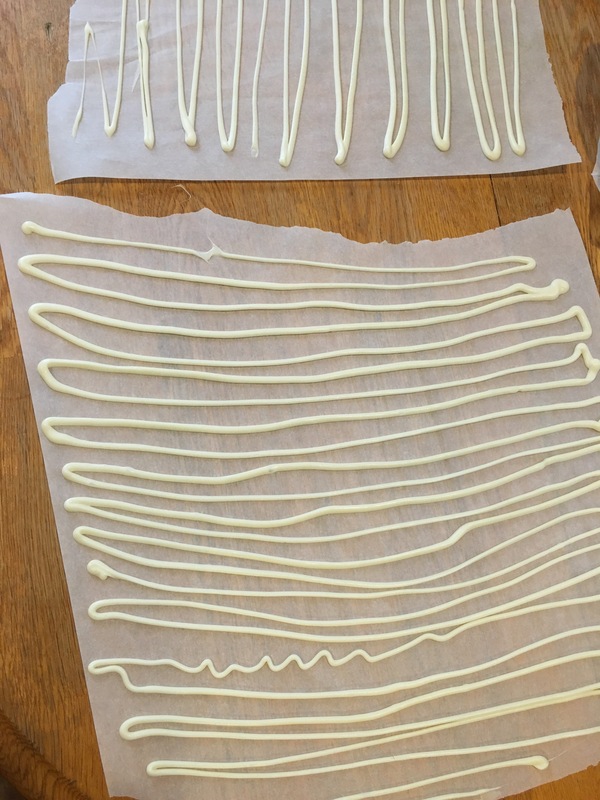 Pipe out lines (or one really huge zigzag) and let the chocolate dry until set – about 1-2 hours. 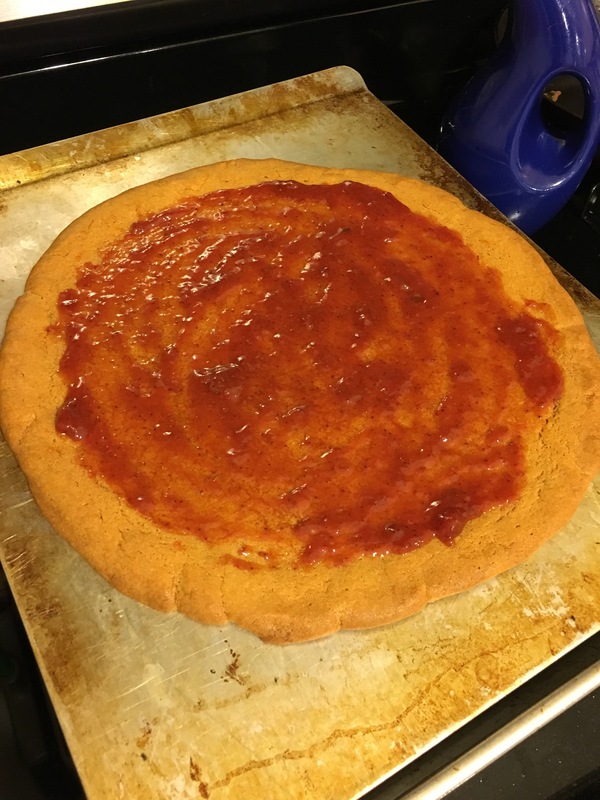 Spoon out about a 1/2 c of strawberry jam onto your baked cookie. I just eyeballed it, so put more of less if you like. Spread it around to almost the edge. Pull the set chocolate off the parchment and break into small, shredded cheese sized pieces. Sprinkle over the jam and spread out as necessary. 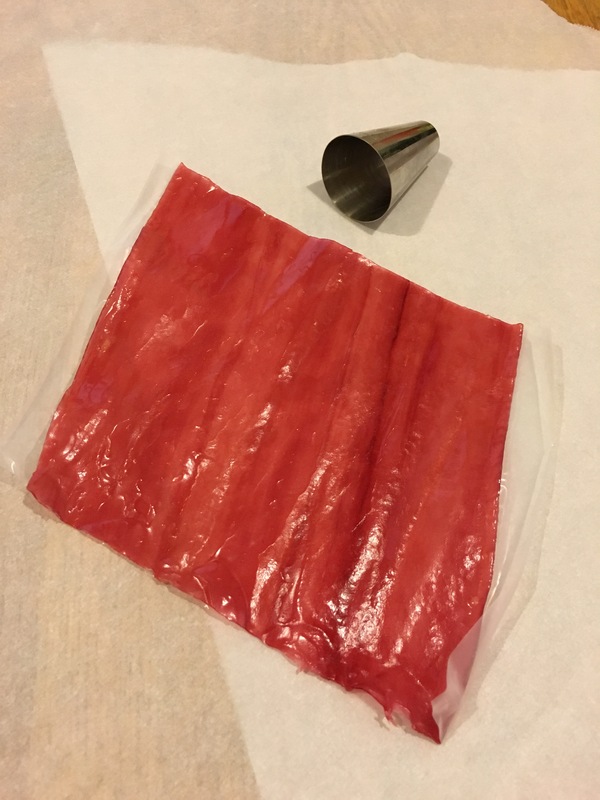 Using a small circle cutter – or the end of a frosting tip like me – cut your fruity pepperoni out of the fruit roll ups. 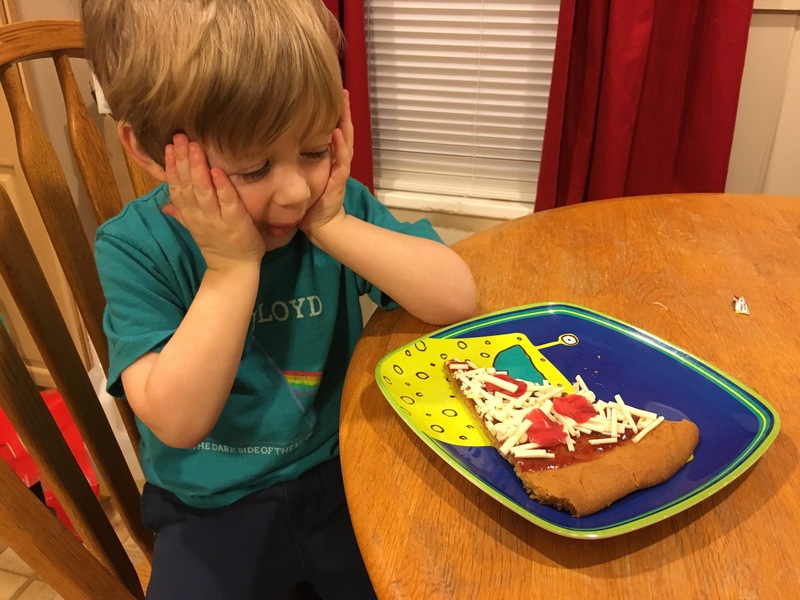 All that’s left to do is trick your kid who’s been asking for pizza all day!! Have fun! !